Worldwide only two major cell phone radio systems are used. First GSM which stands for Global Systems for Mobiles and second is Code Division multiple Access known as CDMA. CDMA subscribers in India had very less luck in finding devices that supported CDMA. 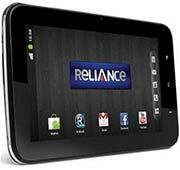 Reliance has finally targeted CDMA customers and launched the very first CDMA tablet, the Reliance CDMA Tab. 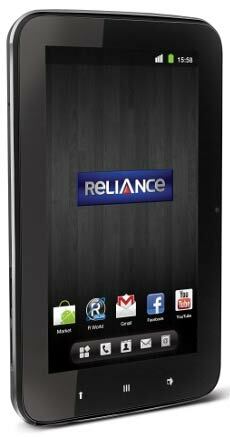 The Reliance CDMA Tab priced at INR 12,999, has a lot of competitors in the market such as the Micromax Canvas Tab P702 and the Datawind UBislate 9Ci. But the CDMA radio system gives it extra points, making it top the list. Talking about the specifications of the device, it includes a 7-inch wide IPS LCD display at a pixel resolution of 800 x 480 pixels and a density of 133 PPI. Powered by an 800 MHz processor that’s coupled with 512MB RAM, processing on the device is just fine. Housing a 4000 mAh battery, the device runs for long hours. Boots on Android v2.3 Gingerbread OS, and has an inbuilt memory of 512MB that can be further expanded up to 32GB via a MicroSD card. Talking about the camera, the device is equipped with an average 2MP rear and a 0.3 MP front camera but has advanced features like Continuous shooting, Digital zoom, and Smile detection. Equipped with basic connectivity features like Wi-Fi, Bluetooth, GPS, and Mobile HotSpot the device sounds like a decent investment for CDMA users. Reliance CDMA Tab full specs and reviews as of Apr 2019. Buy it here!